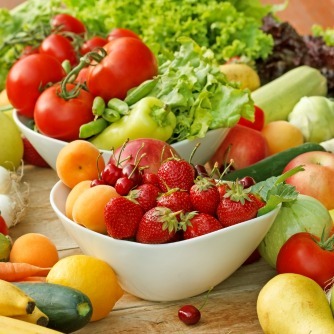 An international research conducted by the University of Adelaide has shown for the first time that a poor diet, characterized by lack of fruits, vegetables and whole grains, is associated with the development of many chronic diseases over time. The results of the study, which looked at health, diet and lifestyle of data from more than 1,000 Chinese people during a period of five years, were published in the journal Clinical Nutrition this month. The researchers found that the proportion of people with more than one chronic disease increased from 14% to 34% in five years. "The risk factors such as smoking, lack of physical activity and nutrition are already known to be linked to the development of chronic diseases., But this is the first time that research has shown that nutrition is directly associated with the development of multiple chronic diseases over time, "says co-author Dr Zumin Shi, Medical University of Adelaide. "Participants who ate fresh fruit and vegetables, cereals and more than wheat and rice, have had the best results overall health. Cereals such as oats, corn, rye, barley, millet and quinoa are less likely to be refined and are therefore can contain more dietary fiber "
The study highlights the role of micronutrients in protecting against disease. "A higher daily intake of iron, magnesium, phosphorus, vitamin C, potassium and vitamin B1 has been associated with better health status over time," says Shi. "Based on our results, it seems that a higher intake of fruits help prevent the onset of chronic illness before, while a higher intake of vegetables helps protect against the development of most chronic diseases." "There is already a good awareness of the importance of nutrition in the population, but still not enough: there is a need for comprehensive education programs about the benefits of healthy eating," concludes Shi.